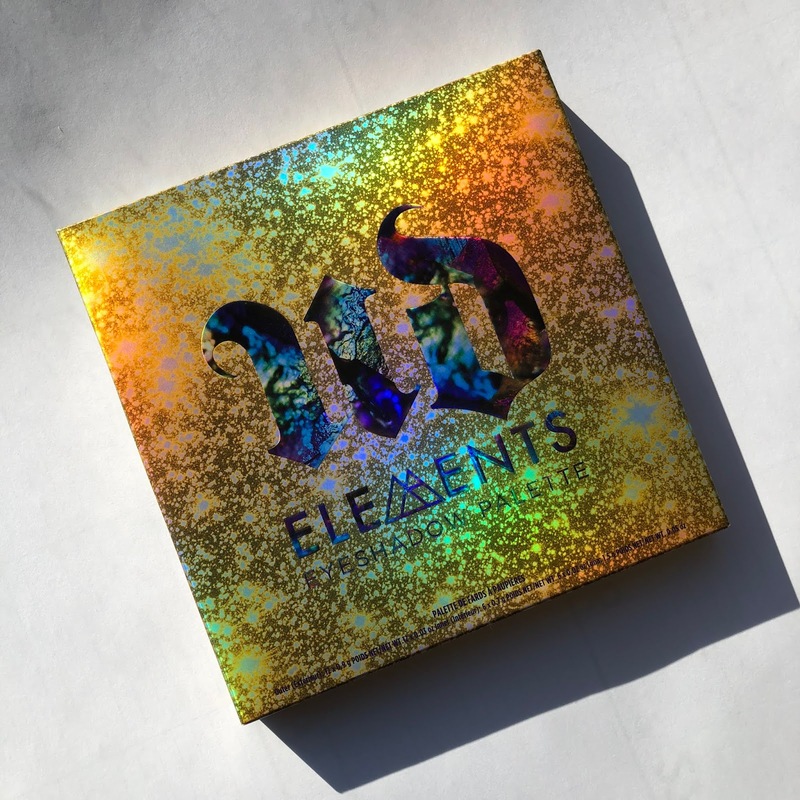 When I first got an email from Ulta about the Urban Decay Elements Palette, I thought, "That's pretty, but I don't need it." Then I made a trip to Ulta and walked past the display for the Elements Palette. I picked it up, inspected the colors, then told myself, "No. It's very pretty, but you don't need it." Then I was perusing the Ulta app and the Elements Palette popped up again. 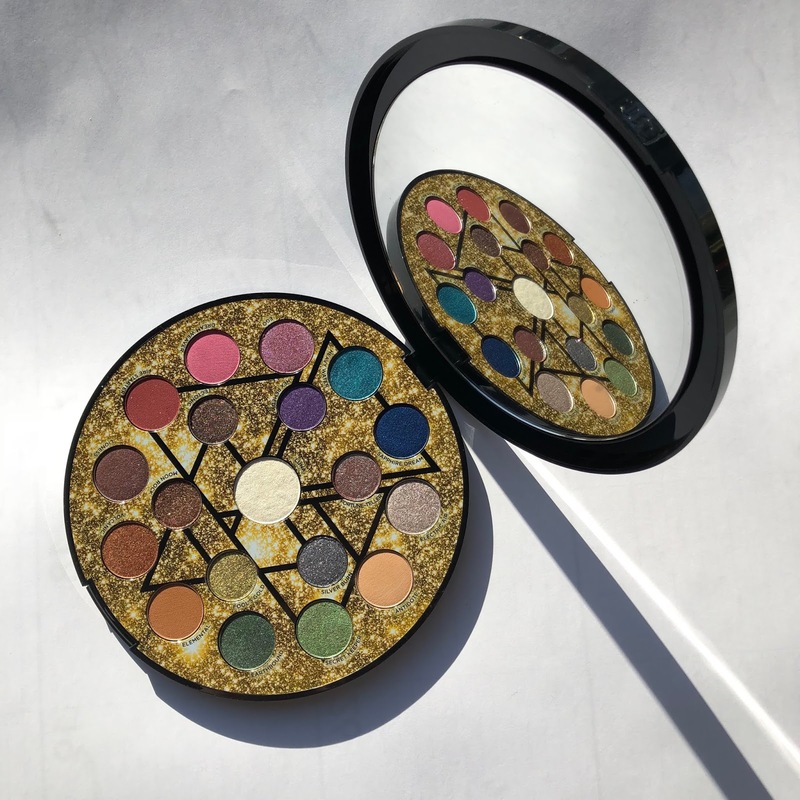 I had more than $400 worth of points I could redeem, and the little makeup-loving devil on my shoulder chimed in, asking, "Why do you save up your Ultamate Rewards Points if not for extravagant purchases like this?" 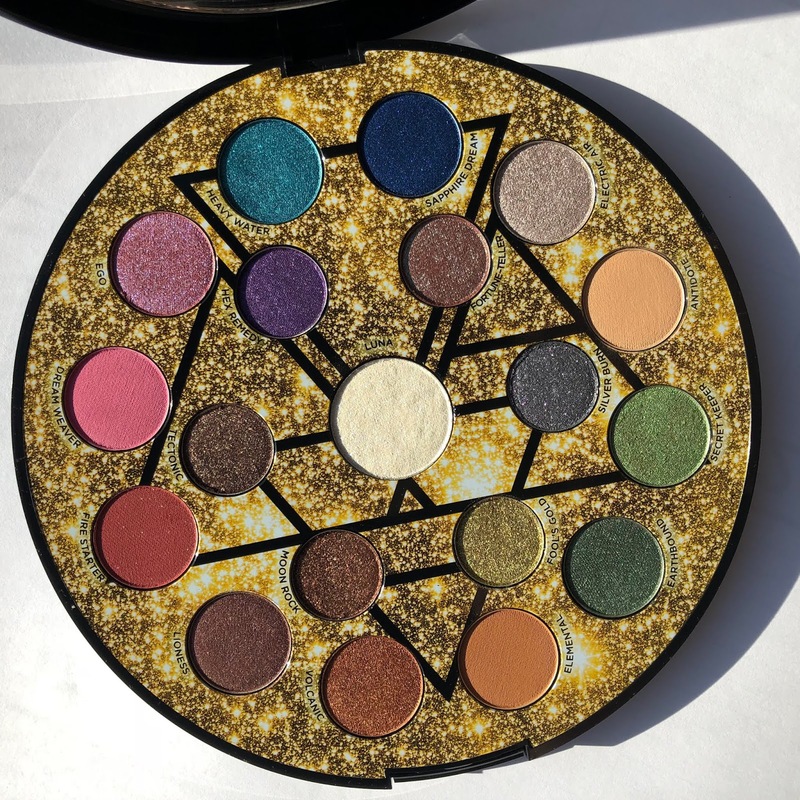 So, now I own the Elements Palette. I've actually been having a lot of fun with it. When I first opened up the case to see the colors, I was kind of bugged that the central, and largest, shade was white. I personally think white eyeshadow should stay in 2001. But this shade, Luna, is surprisingly gorgeous. 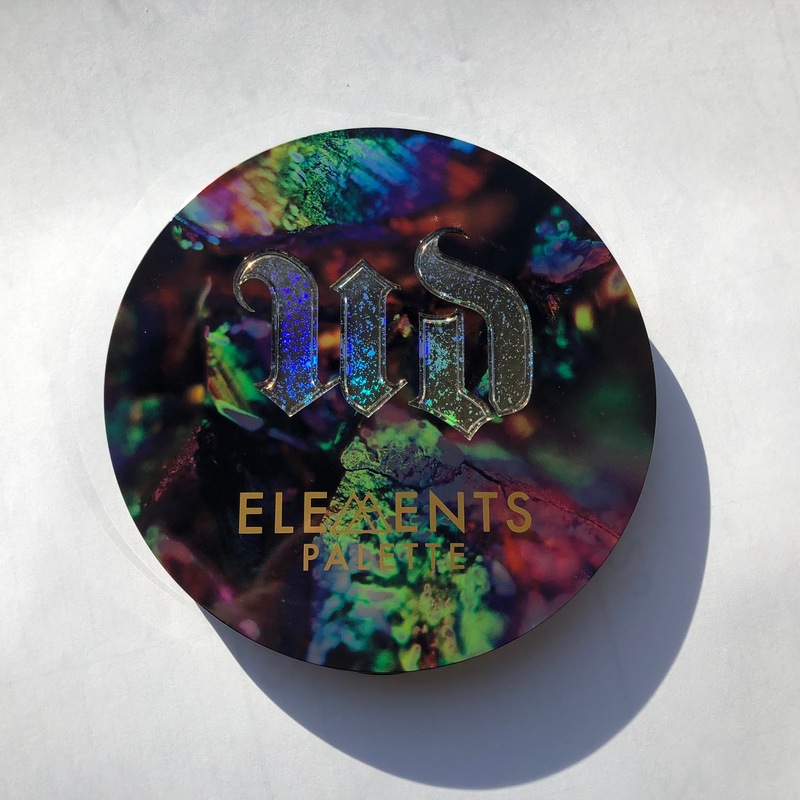 It's not very pigmented and is beautifully iridescent. I've adopted it as my go-to brow bone color. 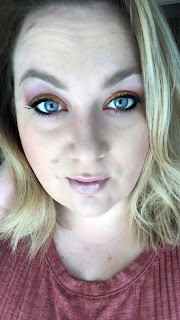 I've documented three looks that I created with the palette to show its versatility. One is too little color for my liking, one is a tad too much color for my liking, and one is just right. But based on your personal preferences, hopefully you can find some inspiration for creating a look you'll love. When I say "lid," I mean the part of your eyelid that actually covers your eye; when your eyeball moves, you can feel it through the lid. When I say "brow," I mean the area if skin right under your eyebrow. 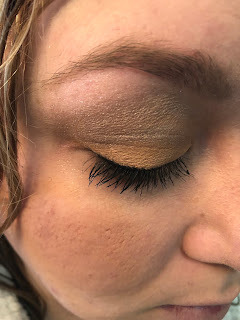 When I say "crease," I mean a relatively large area spanning above and below the strict crease of your lid. And when I say "cut," I mean placing a color right on the actual fold of your eye, the thin wrinkle or crease that separates the "lid" from the rest of the eyelid area. 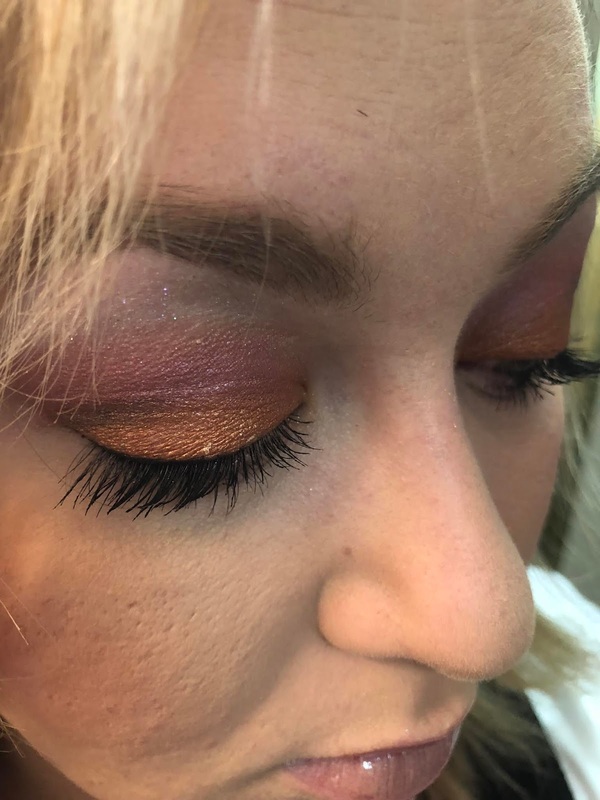 I'm not one for subtle eye looks, but just for you, I tried one. I started with Antidote on my lid. 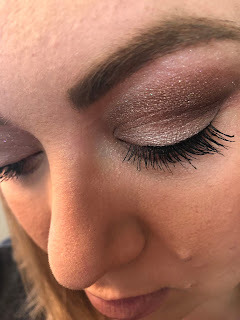 Then I used Luna on my brow and blended it down toward the crease. 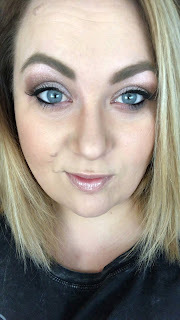 Then I used Electric Air on my crease. For this next look, I decided to lean in to the brighter colors in the palette. I started with Volcanic on my lid, then used Ego on my crease. I swept Luna across my brow, but I felt like there wasn't enough dimension in the look. So the last step was to use Earthbound to cut, but only on the outer 1/3 of my eye. Finally, here's a look that's representative of my everyday use of eyeshadow. A little color, a little drama, and a lot of fun to create. I started with Electric Air on my lid. From the moment I opened the palette, that shade was just screaming out to me to create a base for a look. Perhaps predictably, I used Luna on my brow. 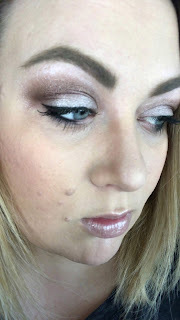 Then I used Moon Rock on the crease and cut the outer half of my eye with Lioness. There are still so many shades for me to try, and the combinations are virtually endless. But for now, I'm really glad I lacked self-control and bought another eyeshadow palette that I certainly didn't need but definitely enjoy!